Education placements in Canadian institutions are at an all time high given the country’s high quality of education, high living standards, great prices, post graduate employment, and Permanent Residency opportunities. 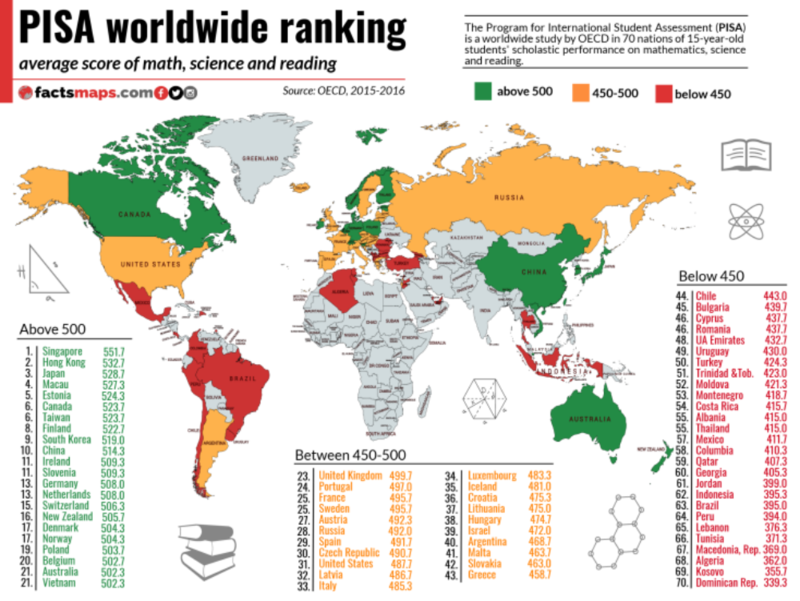 Bangkok, Thailand – Since it first started testing 15-year old students in Math, Science and Reading Comprehension in the year 2000, PISA test ranks Canadian education number #1 of all English speaking countries, and #6 in the world overall in the latest 2018 test. But high quality of education is not the only reason students are flocking to Canada. With one of the highest standards of living and consistently ranked top 5 places in the world to live by numerous ranking platforms, Canada offers a relaxed, safe, and friendly environment for overseas students to come study and work. Couple that with a great exchange rate (ie. = lower costs), a 3 year post graduate work permit, and Permanent Residency, and all of a sudden even winter in Canada does not feel so cold. Weather Sure, it does get cold but hey… can you make a snowman or go cross-country skiing, down hill skiing, snow shoeing, make a snow angel, play outdoor ice hockey, see the boreal lights or have a white Christmas in 30 degrees weather? And do you really think we live in Igloos (look it up eh?). We have 4 seasons and we do get hot weather. As hard as it may seem to believe, after one winter your body will adjust and winter will be just that – winter. Safety, great prices, and a high quality of education are not the only reasons students come to study in Canada. In a country built on immigrants that encourages immigrants to keep their cultural identity while embracing Canadian values, international students can be exposed to a ‘United Nations’ experience by simply attending classes. Vancouver and Toronto being two of the most obvious examples. But students in the smaller, less populated provinces can also meet students from over 40 countries in the classroom, and benefit from a total immersion experience in the almost exclusively English spoken communities. Learning English from native English speakers is much easier than with a class full of other foreigners. The best of both worlds one could say. Safety – live and work in one of the safest countries in the world. High Quality Education – PISA ranks Canada #1 of all English speaking countries. Many universities in the top 250 world ranking. Ten provinces = ten programs. Canada’s 10 province operate as separate countries with the Canadian federation. Each province has its own Minister of Finance, Labour and Education. If you know the British Columbia school system, beware that what applies to BC does not necessarily apply to the other provinces. And within each province you need to check with the school district where your school is located, as things do differ (not much, but enough) between districts. Visas. Historically, Canada has a reputation as being a difficult and slow to get a visa. But things have changed for the better with study permits now being issued within 3 weeks on average, and the success rate in Thailand being in the mid to high 80’s %. The main reasons for a visa rejection are incomplete or poorly prepared visa applications, as stated by an IRCC agent at the recent CAPS-I conference held in Bangkok. Apply in Early. Canada is currently very popular with students given the quality, prices, work opportunities, and issues south of the border so apply early. Every student is unique. Your best friend’s kid might have liked a program a few years ago but that program might not be the right one for your son or daughter. Figure out what you want or need in a program and find one that matches your needs. And parents, get your kids to participate – they are the ones after all who will be going overseas. Be realistic and flexible. Remember, you are the one going overseas so you will be the one expected to adapt to that culture, be it Canada, Usa, UK, or any other country. Buyer Beware. Many parents & students simply believe everything their agent tells them, and then expect the Canadian school, or the embassy of Canada, to help them out when the program they are in does not work out. They can’t! So, do your homework on the program as well as the agent before making your decision. You can go online, contact the school district or university directly, talk to more than one agent, attend a fair and speak with Canadian recruiters directly. In the end, it is your responsibility. Today, Canada really should be an option explored by everyone wanting to study overseas and looking for life-long opportunities. A little of research upfront will go a long way towards finding the right program for you. New World Education Company Limited (doing business as Go Study Canada) is a Thai based company (next to the Chong Nonsi BTS station) with Canadian and Thai staff offering pre-imminent Canadian education programs and Permanent Residency education pathways to students in S.E. Asia. With offices in Vancouver Canada and Bangkok Thailand, GoStudyCanada provides first rate, up-to-date information and non-biased information on all aspect of a Canadian education followed by ongoing support to students studying in Canada. They are the ‘go to company’ in Thailand for the Embassy of Canada to Thailand most Canadian institutions recruiting in Thailand. For a free consultation in Thai, call the main office at 02-238-1752 or email info@gostudycanada.net. 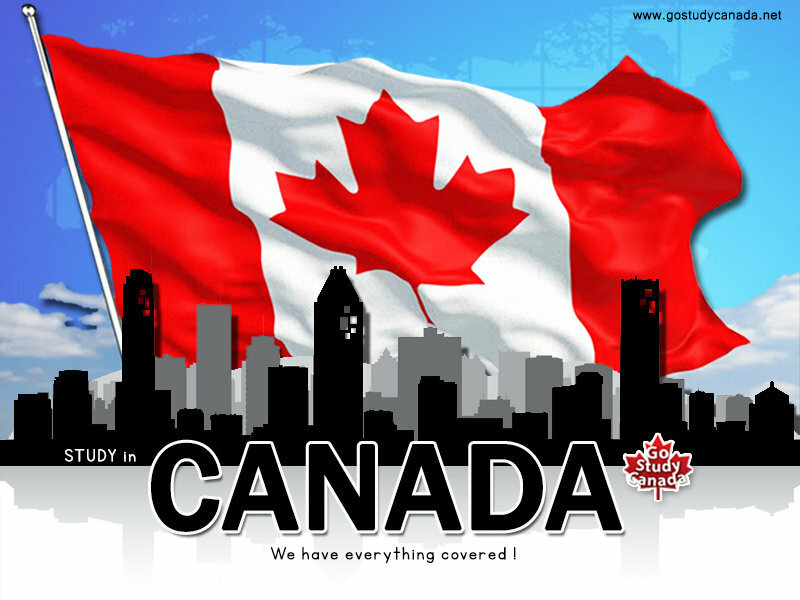 For an English consult with the Canadian owner and Managing Director, Mr. Rene Bourgeois, email rene@gostudycanada.net.